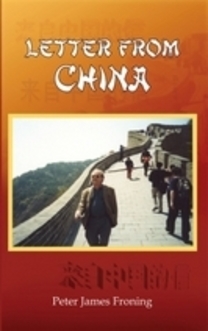 This is a poignant and irreverent diary of the author's yearlong (2001-2) experience of teaching English to college students in Beijing, People's Republic of China. From the very first pages, the author draws you into his struggle with a culture worlds away from his comfort zone. The author's generous and compelling personality allowed him to gain access to the lives of his students and their families, who became characters in his tale. One can experience the author's wit and humanity throughout the narrative. The author's humorous view of China is especially timely and dovetails with the current explosion of interest in that country as it enters the modern world. The book is neither a travelogue nor a look at the government, although elements of those subjects are woven into the story. Instead, it is an engaging look at China, tailored toward those who know little about it. Still, those who have lived and/or traveled there will also enjoy the book as it reminds them of the absurdities they, too, experienced. We will send Letter from China to your Kindle at . Letter from China has been sent successfully to your Kindle!